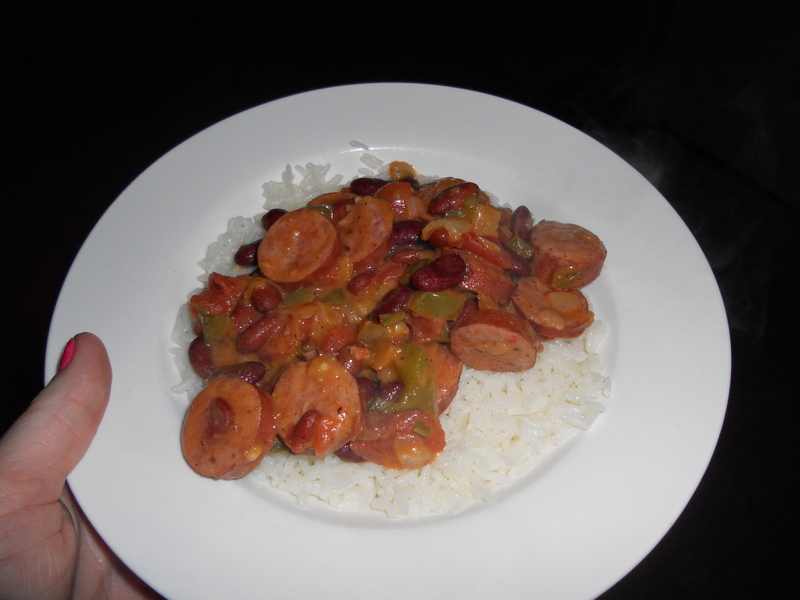 Lundi Gras Red Beans and Rice! With Mardi Gras tomorrow and a trip to New Orleans on the horizon, I wanted to make red beans and rice for our Monday night dinner. 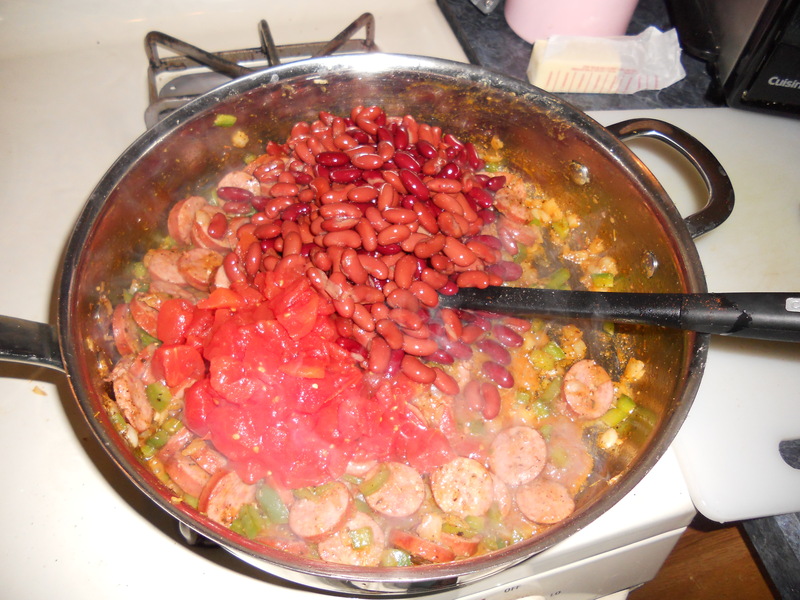 Red beans and rice is traditional creole dish traditionally made on Mondays with red beans, veggies, spices, and pork bones as left over from Sunday dinner – an old custom from the time when ham was a Sunday meal and Monday was washday, as a pot of beans could sit on the stove and simmer while the women were busy scrubbing clothes. BUT given that we didn’t have a ham dinner yesterday and I had to make this after I got home from work today, I made the following simplified version, which still kept me in the “holiday” spirit! I hope you will enjoy it too. 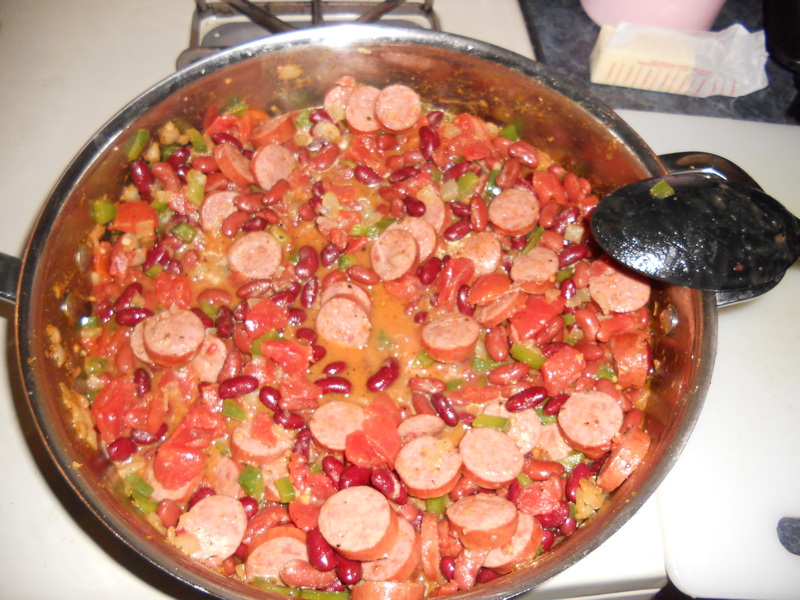 First, make the rice to your liking so that can cook while you’re prepping your veggies and starting on the red beans. 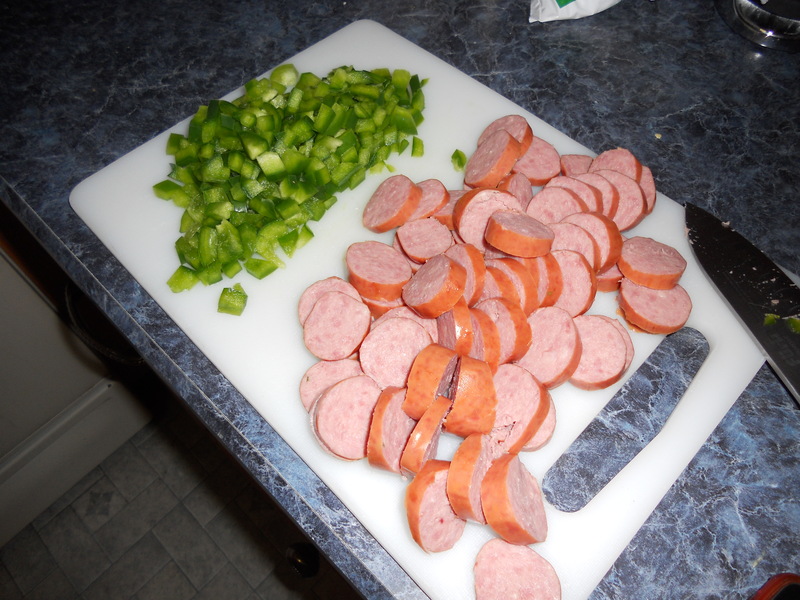 Chop up your green pepper, onions, and kielbasa. 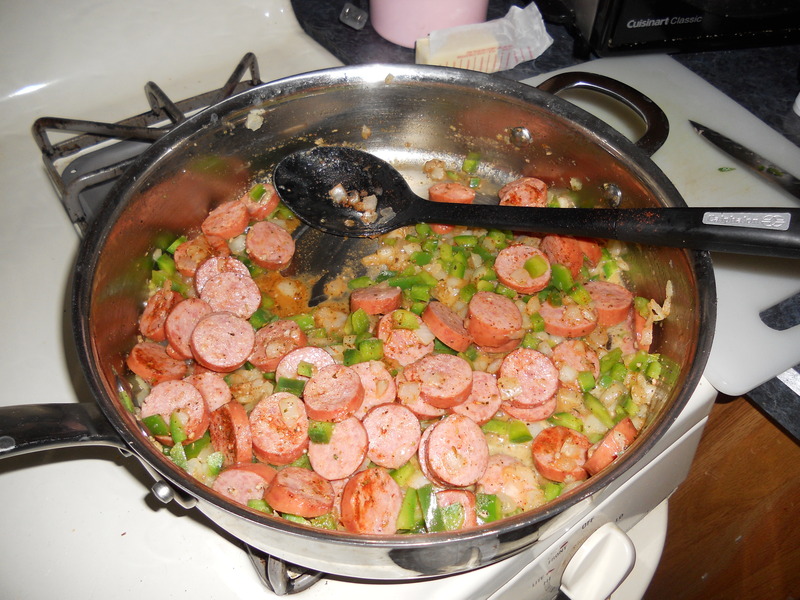 Now, once you’ve got all your ingredients ready to go, in a large skillet over low heat, cook sausage for 5 minutes. Stir in onion, green pepper and garlic; saute until tender. Pour in beans and tomatoes with juice. Season with oregano, salt and pepper. You may decide you want to add some water or milk, depending on how thick you’d like the consistency. I added about a half cup of each. potomu shto zhivu v gostjah, a mne tak nrjiatsva gotovit dlja drugih :)esho i malchik u kotorogo zhivu, veganit davnym-davno, a s etogo leta reshil pereiti na syroedinie. demonstriruju emu kak eto mozhet vygljadet :)tvoi recepty uzhasno udobnye – zalez, vybral shto-nibud i uzhe znaesh shto kupit na rynke. a inache u menja na rynke glaza vo vse storony razbegajutsja i hochu kupit vsjo i srazu.